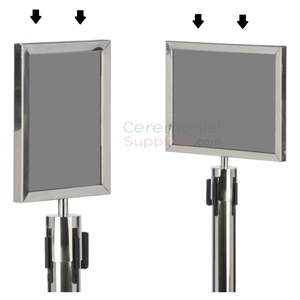 Set includes two Luxury Flat Top Stanchions made from stainless steel with a chrome finish. 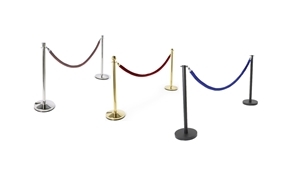 Also includes one velvet Rope Line that measures 6.5 feet in length. 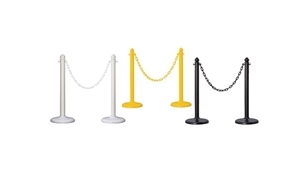 Flat Top Stanchion features a four-way adapter disk to create any line configuration. 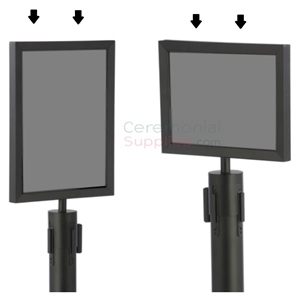 It measures 39 inches in height and 12.5 inches in base diameter. 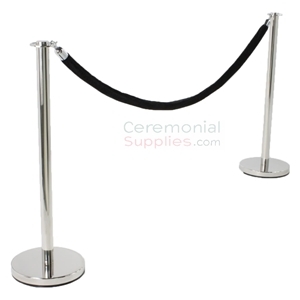 It weighs about 15 Lbs each with its sturdy base keeping it firmly upright. 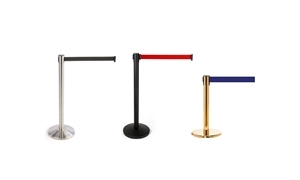 Velvet Rope is available in color options Red, Black, and Royal Blue. Requires an easy 2-part screw-in assembly.